Aside from their top-class collection of basketball shoe, Jordan Brand is also hitting strides with their GS releases. Soon, another one will hit the market and it is expected to gain a lot of attention once again. 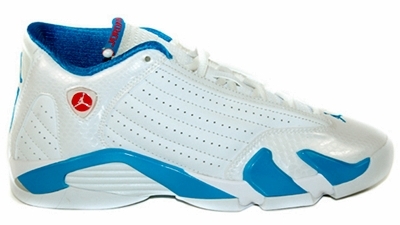 The Air Jordan 14 GS is expected to be released in White/Siren Red-Neptune Blue colorway – an edition that is simply known as the “Neptune Blue” version, which is arguably one of the best colorways among the GS shoes released recently. This will come out anytime soon, we will keep you updated!